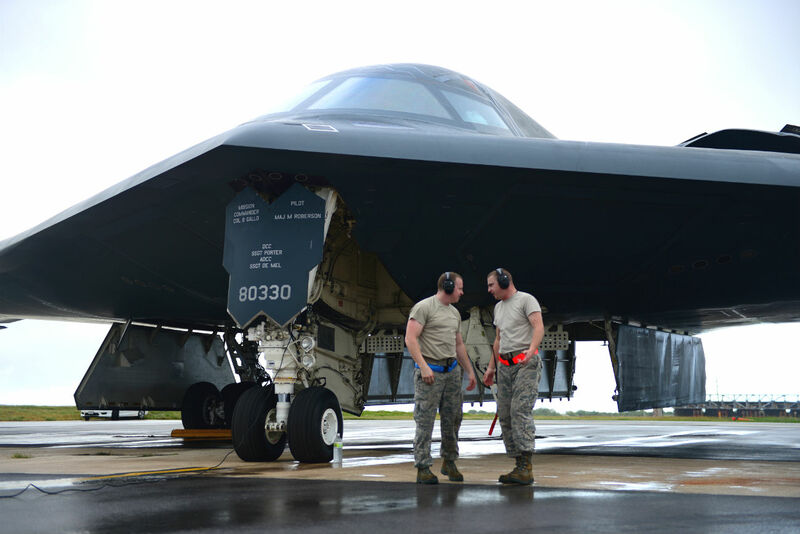 With only 21 B-2 Spirits produced, the air crews that work on them get to know individual aircraft very well. As it turns out, this highly complex aircraft is a colorful bird. 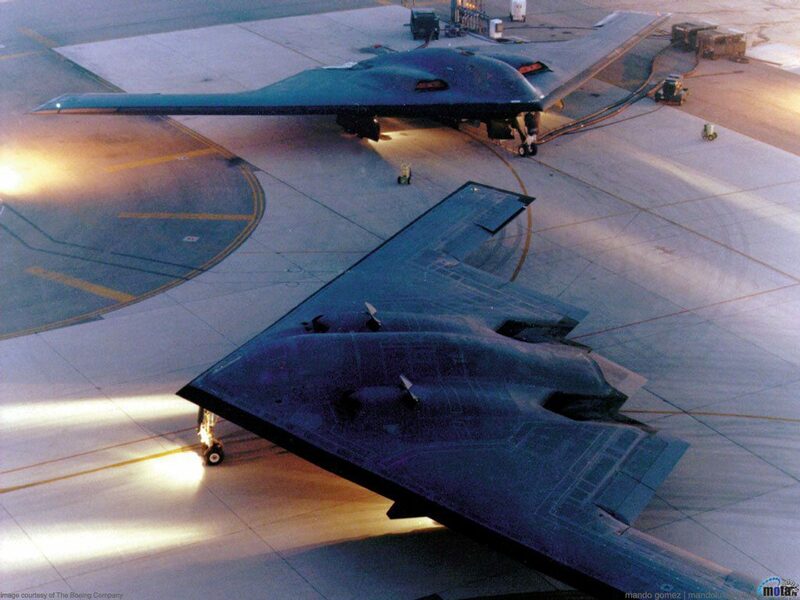 Each individual B-2 Spirit has its own distinct personality, and its own unique maintenance needs. 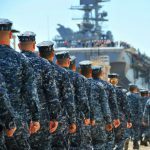 This comes as a surprise when one considers the precision engineering and the uniform use and maintenance needs. This leads to some colorful moments. Interestingly enough the pilots tend to view the aircraft as uniform, avoiding personal favorites. A 2nd Air Refueling Squadron KC-10 Extender from Joint Base McGuire-Dix-Lakehurst, N.J., prepares to refuel a B-2 Spirit, during a training exercise near Kansas, Nov. 10, 2016. The KC-10 Extender is an Air Mobility Command advanced tanker and cargo aircraft designed to provide increased global mobility for U.S. armed forces. Although the KC-l0's primary mission is aerial refueling, it can combine the tasks of a tanker and cargo aircraft by refueling fighters and simultaneously carry the fighter support personnel and equipment on overseas deployments. 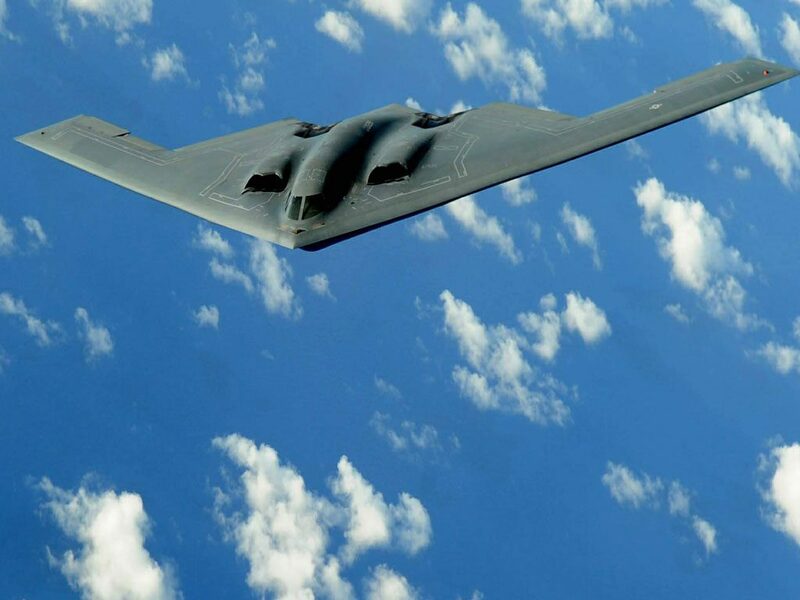 Bombers are almost always designed with range in mind, but the unique design of the B-2 Spirit lends itself to extreme long range operations. Without refuel, the B-2 Spirit has a range of over 6,000 miles. However with refuel, that range can be extended nearly indefinitely. As it stands, from its three principle bases, the B-2 Spirit can reach any inhabited point on the planet with minimal support. This gives the US Air Force an unrivaled ability to deliver a payload—conventional or nuclear—to any point the mission might require. 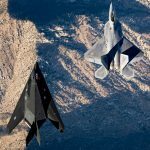 Stealth aircraft rely on a lot of things: proper shape and profile, electronic countermeasures, the training of the pilots and crew. However, the material component of the stealth factor is often overlooked. 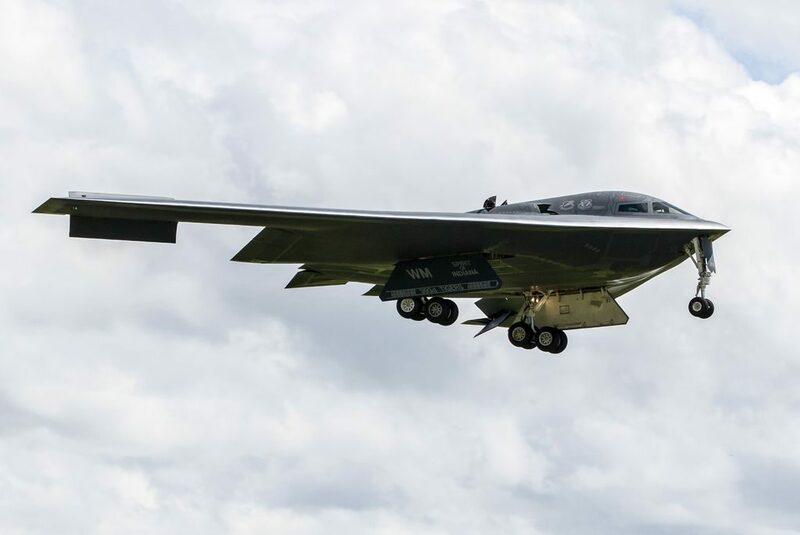 With very little sheet metal in the skin of the aircraft, the B-2 relies on a mix of over 200 chemicals, sheets of composite material, and high tech paints. Any gaps are filled with an expansive foam made from a classified formula. The exact composition is a carefully guarded secret, and one that changes frequently. 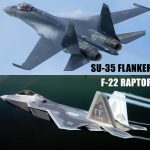 The world of military aviation is constantly evolving, and some of the world’s emerging powers, including China and Russia, are on a quest to develop their own stealth aircraft. Likewise, they constantly seek to negate the US’s advantage in stealth technology. As their abilities develop, US intelligence gathers more information about what they’re up to. That data is then fed to maintenance crews working on the B-2 Spirit. Those crews in turn adapt the material composition of the B-2’s anti-stealth coating to counter enemy capabilities. It’s an ongoing mission, one that will likely last the lifespan of the B-2 Spirit. U.S. Air Force Senior Airman Chase Brewer (left), speaks with Staff Sgt. Colby Nash, both electrical and environmental systems technicians assigned to the 509th Aircraft Maintenance Squadron, after conducting redball maintenance on a B-2 Spirit prior to takeoff at Andersen Air Force Base, Guam, Jan. 12, 2017. U.S. Strategic Command regularly tests and evaluates the readiness of strategic assets to ensure we are able to honor our security commitments. 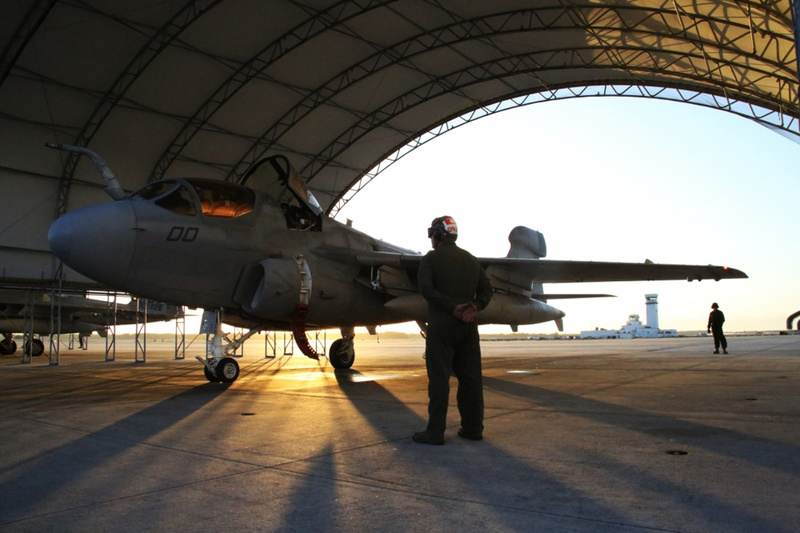 Most military aircraft are difficult to fly. And the more advanced the aircraft, the trickier they are to keep in the air. And while US pilots train hard, accidents do happen. 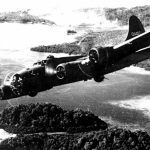 In keeping with the B-2’s unique design and mission, it has had a unique set of accidents. In 2008, the Spirit of Kansas crashed during a routine takeoff from Andersen Air Force Base in Guam. The crew ejected safely, but the aircraft was nearly destroyed. After a strenuous investigation, the US Air Force found that a freak instance of moisture buildup was to blame. With a little redesign, the B-2 fleet quickly returned to duty. 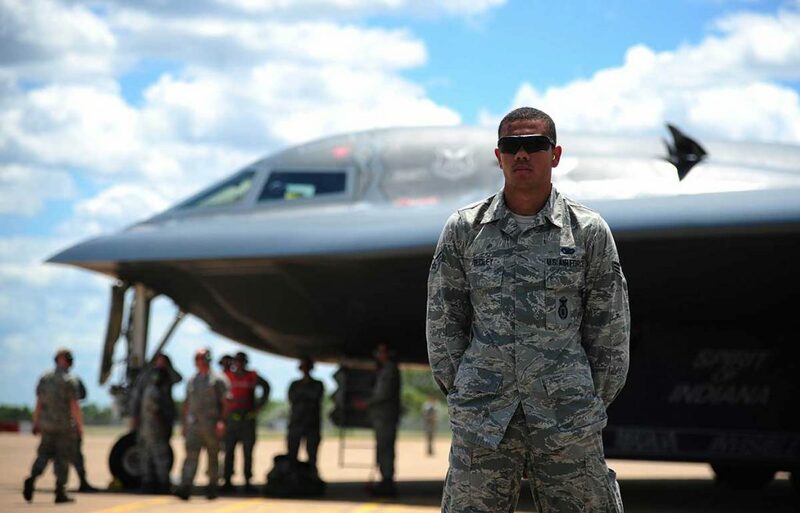 A complex series of intelligence failures and miscommunication lead to an international incident resulting from a B-2 Spirit mission – one of the crazier B-2 bomber facts. 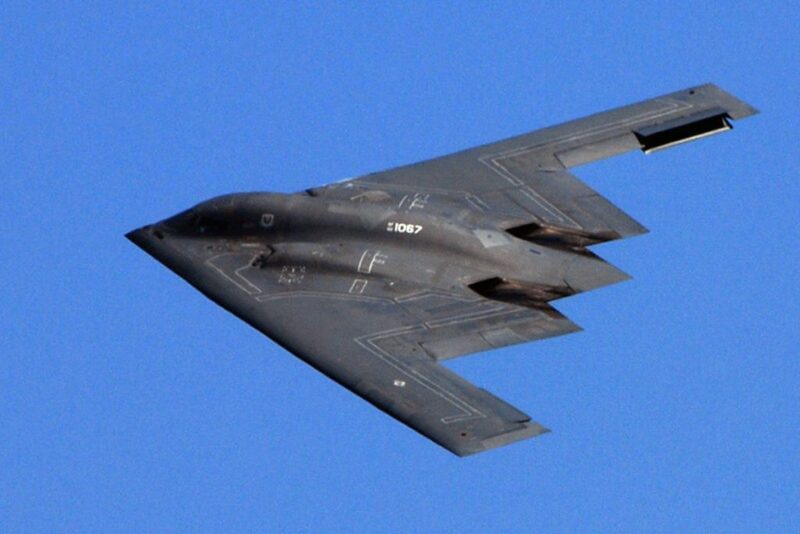 During a bombing run over Kosovo, a B-2 Spirit accidentally bombed the Chinese Embassy. Several staff members were killed, and the incident became a major diplomatic incident between the US and China. This, for good or ill, put a lot of focus on US stealth capabilities and the B-2 Spirit in particular. A B-2 Spirit in Australia as part of a training mission with the RAAF. The nature of the US nuclear weapons stockpile has changed over the years, and the organization of the B-2 Spirit fleet along with it. Following a string of incidents in which nuclear weapons were mishandled, the US Air Force launched a comprehensive organizational overhaul in 2012. 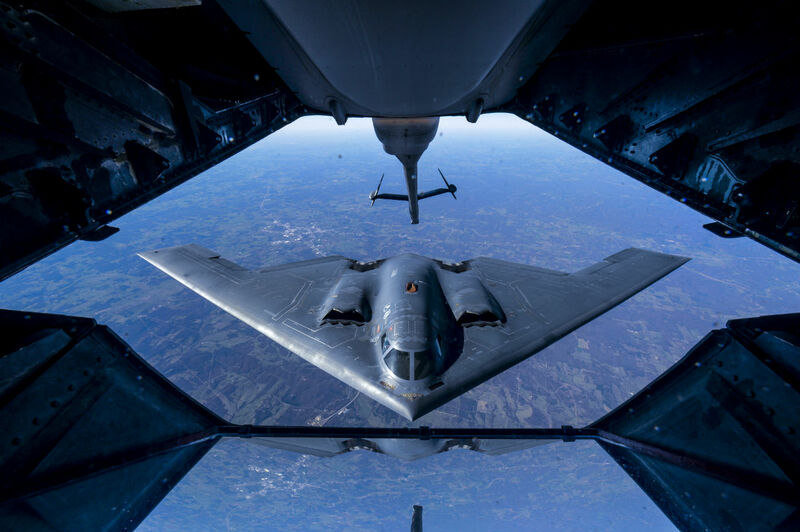 This included reassigning the B-2 Spirit fleet to the control of the newly formed Global Strike Command, the central authority managing US nuclear weapons. While this had little effect on day to day operations, it made for vast changes in the way the B-2 Spirit was deployed around the globe. While the focus of the B-2 Spirit’s design is to fool radar, it also works to fool the human eye. The B-2 Spirit is indeed a flying optical illusion. Viewed from one angle, and the aircraft is a thin line—a ‘flying wing’, as the design is called. Viewed from a slightly different angle, and the whole thing becomes a bulbous flying torpedo. This makes the B-2 difficult to spot in the skies, and potentially difficult to identify. As its missions are most often classified, the ability to disappear or distort visually gives the B-2 Spirit a hefty advantage over its competition. 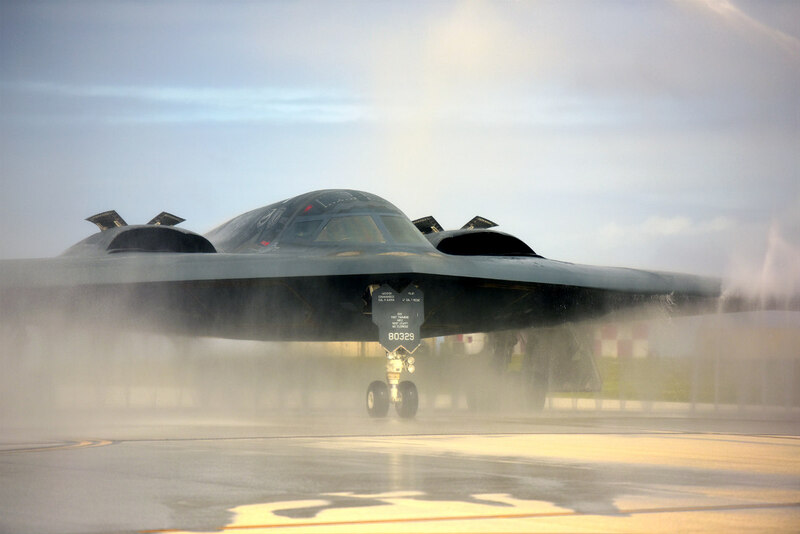 A U.S. Air Force B-2 Spirit deployed from Whiteman Air Force Base, Mo., taxis through a “bird bath” after conducting a local training mission at Andersen Air Force Base, Guam, Jan. 25, 2017. Due to the high levels of salt in the air, many of the aircraft are routinely rinsed off to prevent any damage. This is one of the coolest B-2 Bomber facts. 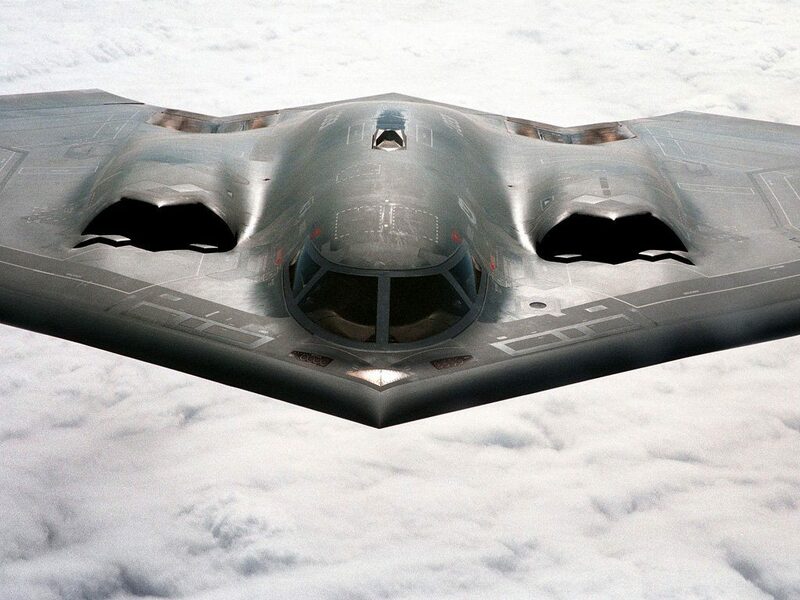 Maybe the name offered a little foreshadowing, but legend has it that there is a haunted B-2 Spirit. According to maintenance crews, a B-2 Spirit stationed at a US Air Force base in Guam offered a moment straight out of a horror film. With no one behind the controls, the aircraft—named The Spirit of Kitty Hawk—turned its engines on by itself. The aircraft in question earned the nickname “Christine” after the haunted car in Stephen King’s eponymous novel. Whether or not this story is true is the subject of some debate. Nevertheless, the tale has become part of the B-2 Spirit’s legend, and is held as the truth by folks who work on or fly the Kitty Hawk. The B-2 Spirit’s stealth needs and unique mission meant that the airframe and the engineering behind it had to go above and beyond. 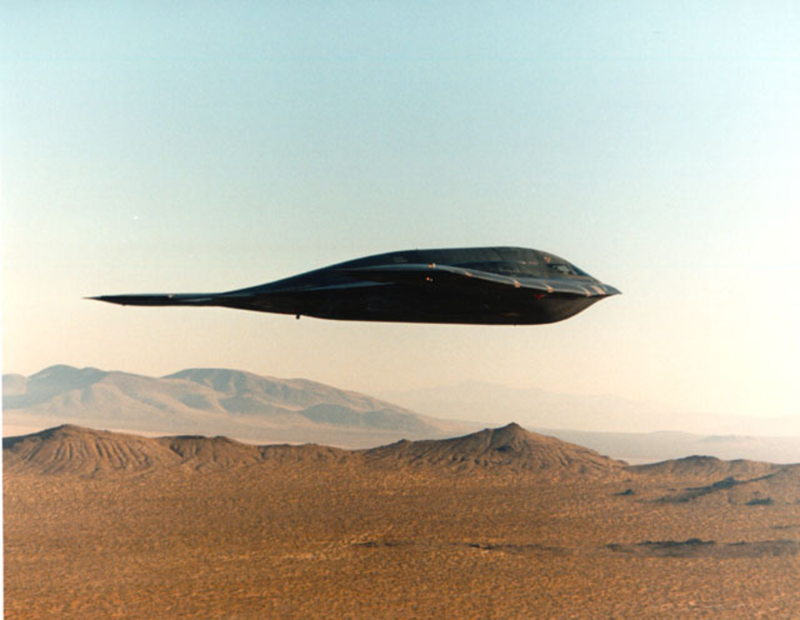 The designers and engineers at Northrop-Grumman had a motto that they adopted while working on the B-2: “A miracle a day”. And they delivered, from engineering tolerances that were far tighter than those found on any other aircraft, to developing materials that were well ahead of state of the art. Everything about the B-2 bordered on the miraculous, and continues to do so.